The privately held San-Diego based company declined to disclose total revenue for 2018 but said it had added 122,000 vehicles to its network, bringing the total number of rigs with DriveCam cameras to 530,000. Lytx, owned by private equity firms Clearlake Capital Group, GTCR and others, supplies video cameras to commercial trucking fleets, which use them to help drivers improve and also provide video evidence in the event of an accident. Having a video record is particularly important to large trucking companies, which often are self-insured. Lytx is not the only San Diego firm providing in-cab video to commercial fleet operators. SmartDrive System competes directly with Lytx in video telematics, most recently inking deals with auto shipping firm Cassens Transport Co. and Acadian Ambulance Services. Lytx has about 60% market share in the current number of commercial vehicles with video monitoring in the United States, according to Nixon. Its three largest competitors have a combined market share of around 20%, he said. But competition is heating up as rivals battle for the estimated 25 million commercial fleet vehicles operating in North America that don’t have in-cab video. Worldwide, the potential market is 130 million commercial vehicles. 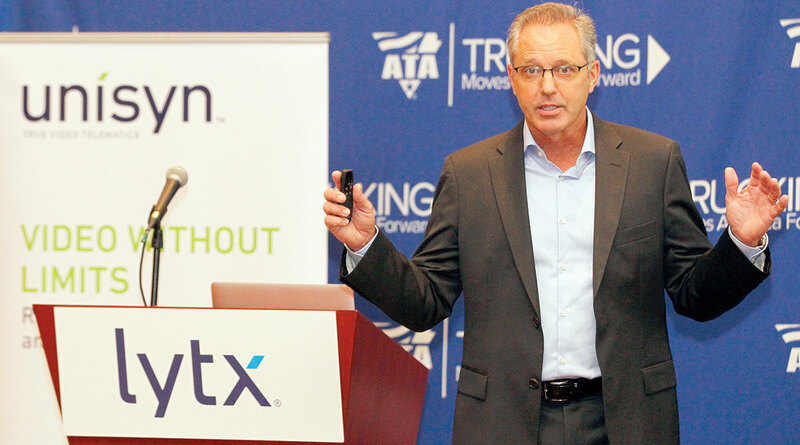 Lytx, SmartDrive and others usually sell camera-based monitoring to commercial fleet operators on a subscription basis, offering software to support driver training, route analysis and other services. For example, Lytx has been applying artificial intelligence algorithms and machine vision techniques to its video data for more than a decade, Nixon said, so that the company can help customers pinpoint risk areas in the routes that their drivers typically use. The company says it has analyzed more than 100 billion miles of driving data, adding 50 million miles every day.